As part of a five-year comprehensive street repair program, Conewago Township approved the resurfacing of a municipal street called Peanut Drive. The project was spilt into two phases, with one half of Peanut Drive being paved in 2013 and the other half in 2014. The 2013 section of the road was completed using traditional hot mix asphalt (HMA) materials and the typical application process. However, as township officials reviewed bids for the paving of the remaining section of Peanut Drive in 2014, it was suggested that this phase of the construction could be a good candidate for the use of roller compacted concrete (RCC). The Township believed that RCC could provide a much longer service life than traditional HMA, while simultaneously offering ways for it to stretch its limited construction budget. “When we began to look at the numbers and the compressive strengths of the RCC material, for us, it meant the investment we put into this road would last a whole lot longer,” said Township Engineer Eric Mains, Buchart Horn, Inc.
Because the use of RCC in roadway projects was not part of the official Pennsylvania Department of Transportation (PennDOT) specification, the township needed special permission to pursue its use on Peanut Drive and have Liquid Fuels funds pay for the placement. 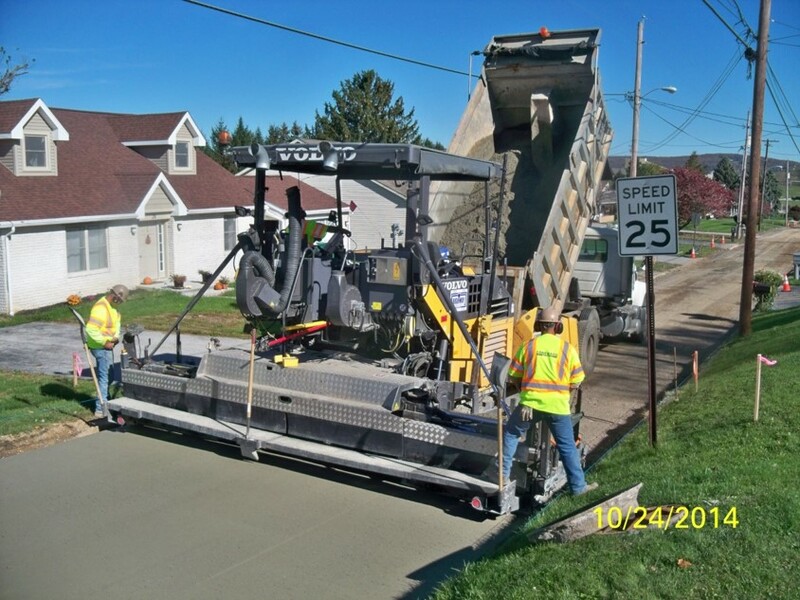 In 2014, the Township secured approval from PennDOT and undertook a pilot project to study the durability of RCC as a road base on low-volume roads. 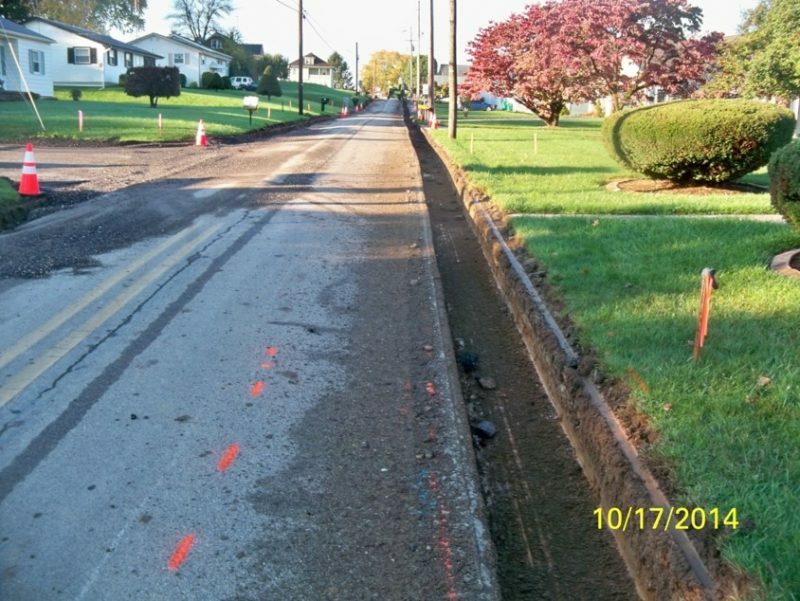 At the completion of the project, the Township would be the first municipality in the state of Pennsylvania to use RCC in a state funded municipal road project, and PennDOT would have a road from which to gather “real world data” on the long-term performance of RCC. RCC is a good alternative to asphalt because it is strong and durable like concrete, but is installed using traditional or high-density paving equipment. Unlike traditional concrete, RCC does not require joints, forms or steel reinforcing, allowing for a faster placement that makes it well-suited where roads cannot be closed to traffic for weeks at a time. On Peanut Drive, RCC was placed with high-density paving equipment and then finished using double-drum rollers. 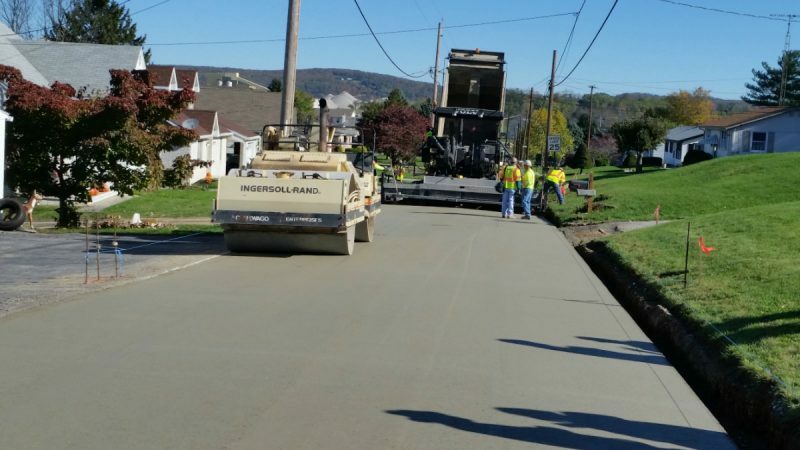 While RCC has been used for industrial and commercial sites for years, the success of the Peanut Drive project could quite literally pave the way for other townships and boroughs across Pennsylvania to use roller compacted concrete in municipal road projects for years to come.